Sales Configurator is a program that allows companies to develop and enforce ordering rules for the products they sell. It confirms that all quotes and orders entered into AccountMate include only products that the company can deliver. For example, if a company sells multiple lines of garage doors, but one line is only available in black and white, every order for that door can only be entered in a black or white color choice. 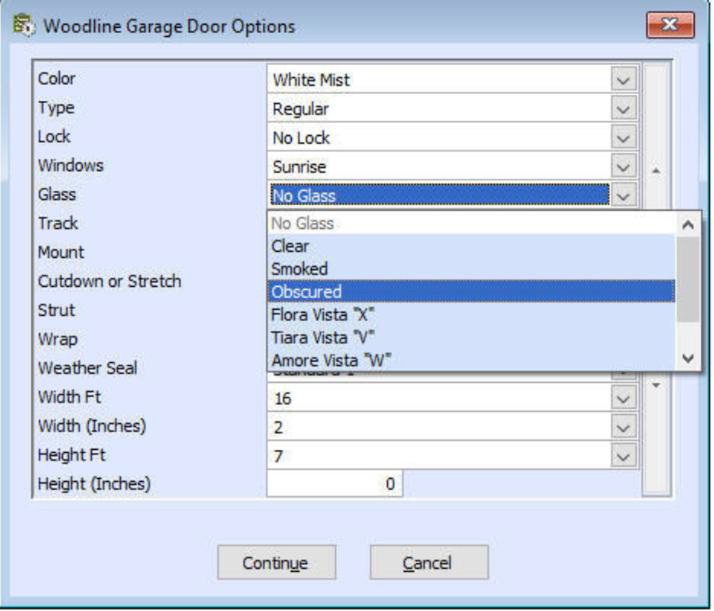 This is true for every element of the garage door, from door size to available window options. The result is that orders are entered correctly the first time and every time. Order entry time will be reduced. Pricing for quotations and orders is completely accurate and the product can be assembled as ordered. Customer satisfaction will improve and wasted expenses from improperly specified orders will be greatly reduced. This can also lead to a greater percentage of on-time shipments. Manufacturing Configurator is a program that allows companies to develop and enforce ordering rules for the products they manufacturer. It confirms that all bills of materials entered into AccountMate include only products that the company can deliver. For example, if a company builds multiple lines of garage doors, but one line is only available with certain glass styles, every bill of materials for that door can only be created with appropriate glass choices. This is true for every element of the garage door, from door size to available paint options. 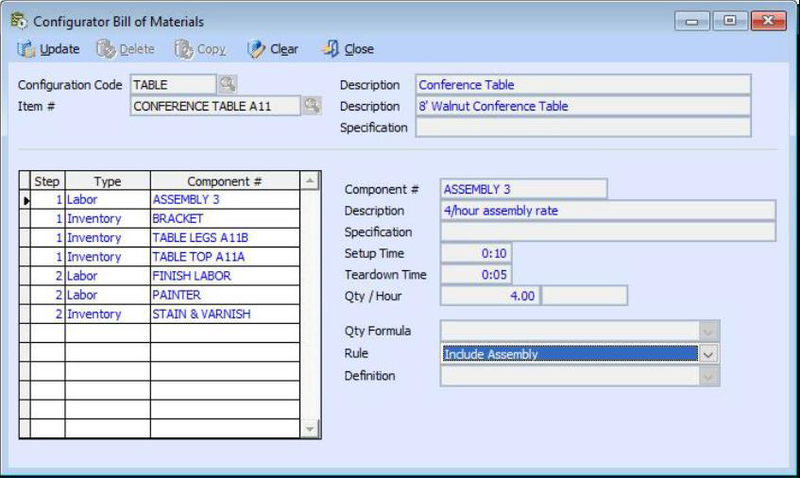 By enforcing configuration rules, the person generating a bill of materials requires substantially less experience and training. The best part of this type of enforcement is that the total number of bills of materials is reduced drastically so that it is far less work to keep them accurate. The result is that bills of material are generated correctly the first time and every time. Time will be saved because every product can be assembled as ordered. Customer satisfaction will improve and wasted expenses from improperly specified orders will be eliminated. This can also lead to a greater percentage of on-time shipments. These options can be items (i.e. specific color), sizes selected from a list, or sizes typed within an acceptable range (i.e. between 18” and 28”). If both Sales Configurator and Manufacturing Configurator are installed, configurations generated in Sales orders can be passed to manufacturing to become work orders without rekeying any redundant information and will save more time. For more information on Visual Accountmate, Sales Order Configurator, or Manufacturing Configurator, please call us at the number above or click on the button below and please mention Accountmate in the comments section of the contact form.